Since Dr. Sweeney was old enough to dream, he knew that he wanted to be a chiropractor. 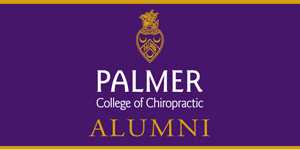 After attending Palmer College of Chiropractic West and fueling his career in chiropractic with the mindset of putting patients first, he has made the dream of one day owning his own clinic here in Nashville a reality. Keeping a compassionate and supportive mentality, Dr. Jim is very attentive toward each and every patient, allocating a vast range of therapies so that each patient leaves feeling rejuvenated. Not only is Dr. Jim very knowledgeable and experienced, but patients understand after seeing him that it really is all about them. Dr. Sweeney has a plan for each of his individual patients that exceeds the lengths many chiropractors fail to maintain because he drives himself to direct and lasting results for his patients. "No one leaves this clinic feeling like a number," comments Dr. Jim when asked what he feels sets his clinic apart from all the others in Nashville. "I don't want you to only feel better for a day after you see me. I want you, as my patient, to feel better indefinitely by receiving a successful wellness plan that I have specifically designed for you. Every person that walks through these doors is different. What works for some may not work for others. My goal is to promote healthy habits along with patient therapies so that pain will not be an option." This is the difference Sweeney Chiropractic brings to the table. Long-lasting results you can feel make every visit seem like a day at the spa. This clinic offers the latest technology so troubled areas are spotted quickly and eliminated. So, come see Dr. Jim and find a plan for wellness. Dr. Jim believes in not only having sympathy for his patients, but more importantly, he has empathy. All of the public, children, and walk-ins are welcomed!